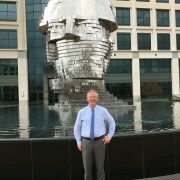 Boyd Ramsey has recently completed a brief tour of China with lectures at technical events and Engineering Design Institutes and site visits in the interior of China. 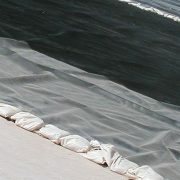 The two-week tour covered several sites and cities and focused on new technological advances in geosynthetic barriers and installation methodologies and techniques. 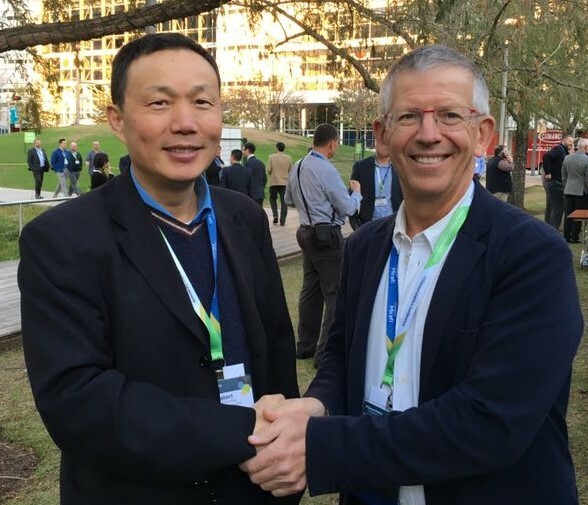 The China market continues to lead in the area of continuous monitoring of the performance and integrity of barrier systems and new advances in that technology were a focus of the trip. 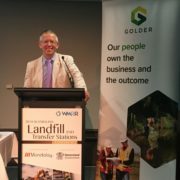 Boyd Ramsey lectures at Brisbane WMRR event. 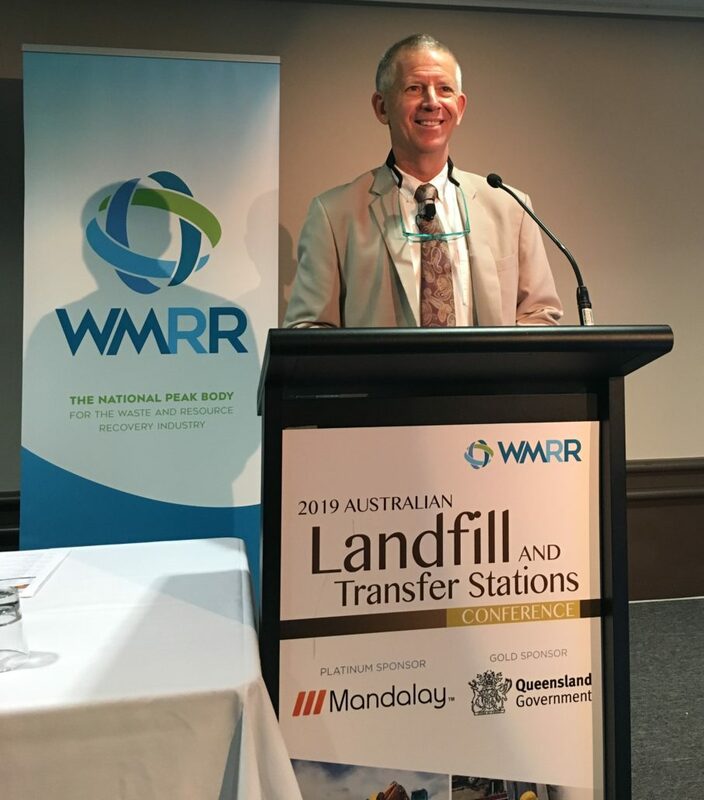 In late March Boyd gave a set of three lectures at the Australian Landfill and Transfer Station conference held in Brisbane and sponsored by the Australian WMRR association. 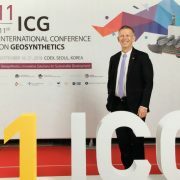 The talks covered advances in géomembrane barriers, new technologies in geosynthetic installation and a series of case histories, including his recent work on strain hardening as a predictor of geomembrane stress crack performance. 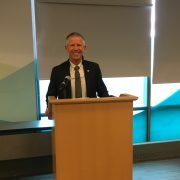 All of the talks were well received and it was a very educational and useful conference. 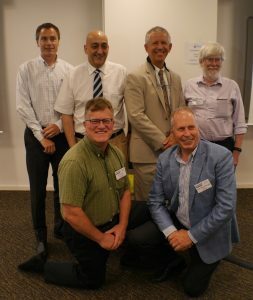 https://www.boydramseyconsulting.com/wp-content/uploads/B-lecturing-in-Australia-WMRR-Brisbane-2019_1.jpg 3023 2960 Boyd Ramsey https://www.boydramseyconsulting.com/wp-content/uploads/BoydRamsey-Logo-1.png Boyd Ramsey2019-04-05 22:19:142019-04-05 22:21:10Boyd Ramsey lectures at Brisbane WMRR event. 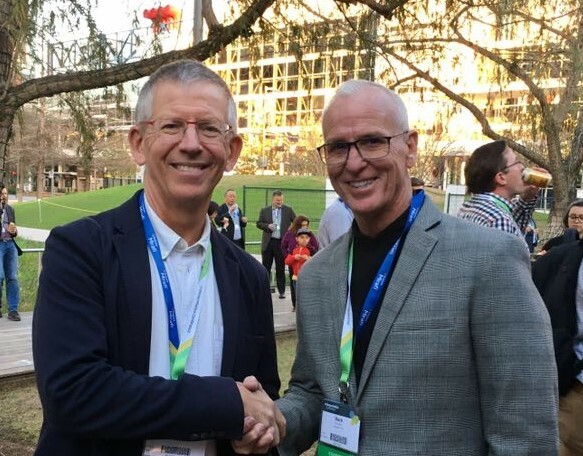 In January and February of 2019 Boyd attended three industry events in the United States. 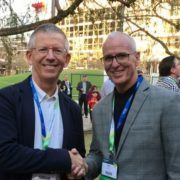 The winter meeting of ASTM D-35 was held in Houston. 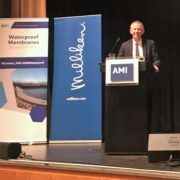 The annual AMI conference on Polyethylene Films was held at the Marriott Fort Lauderdale, FL Hotel and convention center and the IFAI/GMA sponsored Geosynthetics 2019 event was held in Houston at the Marriott Marquis convention center. 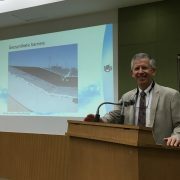 All three events were well attended and presented advances and market information on geomembrane and polyethylene materials and usage. 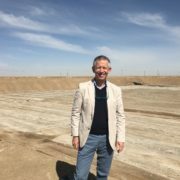 In Houston Boyd appeared in a panel discussion on geocomposite testing frequency, attended multiple IGS and GMA breakout meetings and Chaired a session on environmental geotechnics. 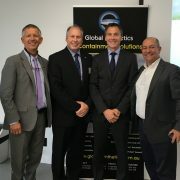 In addition, I was able to reconnect with several longstanding colleagues, pictured here. "The most powerful factors in the world are clear ideas in the minds of energetic men of good will."